Game time arrived and things went pretty OK with our brave Boys In Green holding the Saxon Army to 3 points to 0 at half time. The second half got off to the perfect start when a distant cousin of mine (for he is that) Rob Kearney ran in a perfectly worked try, subsequently converted to give us a 3 to 7 lead. A further 3 points from a Johnny Sexton (no relation but my eldest was in his class in college) stretched our lead to 3 points to 10. This was going to be sweet! We were on the road to giving them a good kicking and my evening meal would be great sport. There is a saying in rugby that the game isn’t over until the final whistle blows (Not many fat ladies singing in rugby). England came back at us and brave Irish defending led to a penalty and 3 more points to the dastardly men in white. Soon thereafter, Danny Care (definitely no relation) scored a pretty impressive breakaway try and another non relation converted. 13 to 10. And so it remained until I slunk from the TV room to the kitchen to prepare the English classic Toad in the Hole with Onion Gravy. 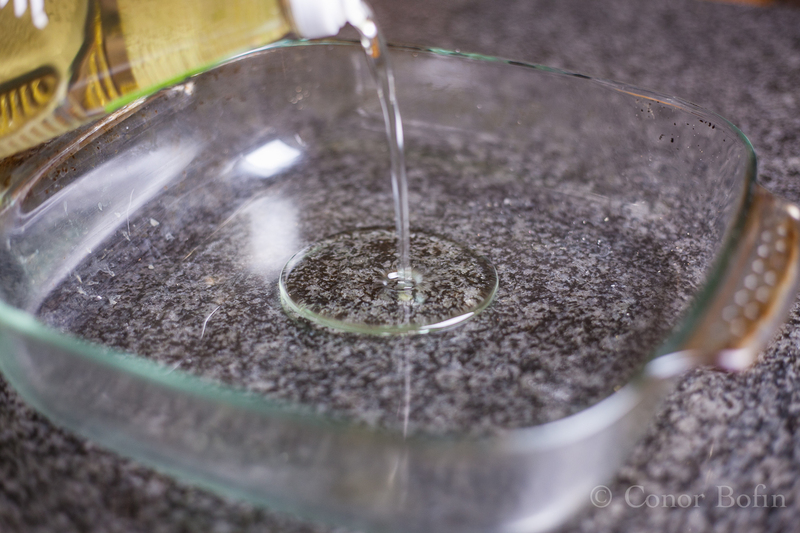 First add some vegetable oil to an oven dish. A subtle enough pouring shot. Particularly so as I was so depressed. 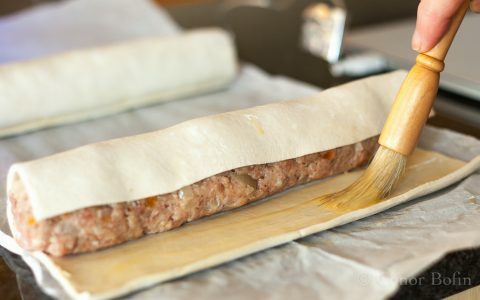 Place the sausages in and put them into a 200º C oven for 10 minutes. Use the 10 minutes to prepare the batter. First sieve the flour, add the eggs and milk. Note the aggressive pour, it was the best I could do under the circumstances. Take out your pent-up frustration and defeat anxiety by beating them into a nice batter. 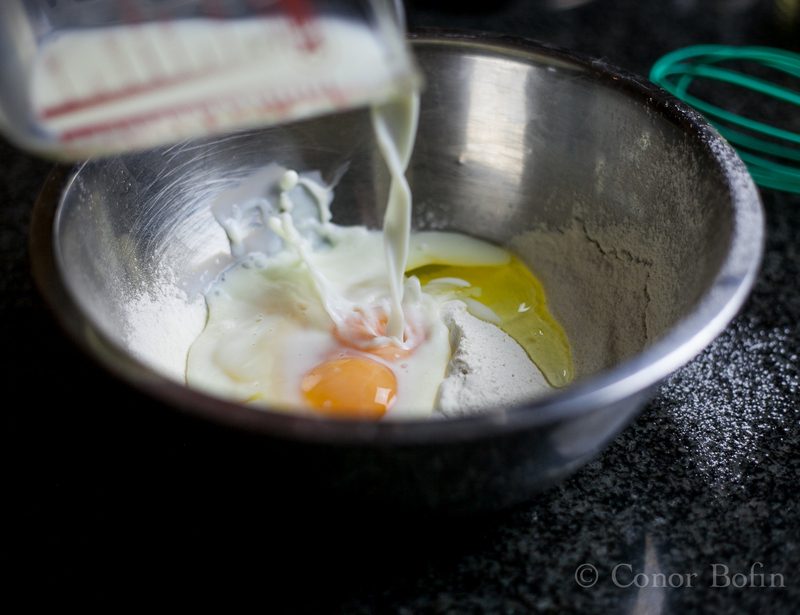 Irish eggs, Irish flour and Irish milk. No point in taking it out on them. Take the half-cooked sausages out of the oven. 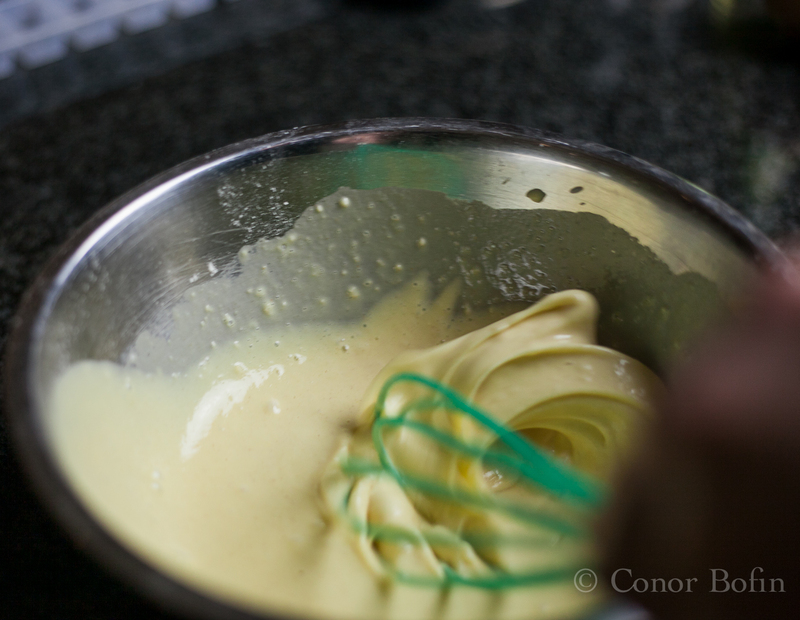 and pour the batter around them. At this stage, they don’t look great. Just like our chances of victory were never really great. Pop them back in the oven for another 25 minutes. Use that time to make the onion gravy. First chop the onion. I like mine cut thick for this. Chop the garlic fine. 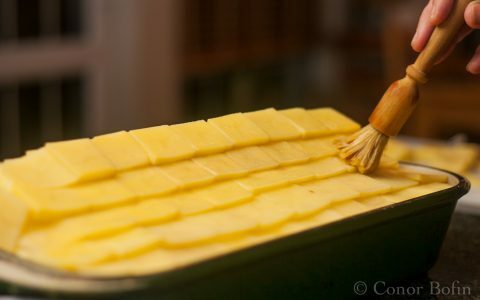 Add them to a medium hot pan with some olive oil. fry / reduce them for a while before adding the flour. 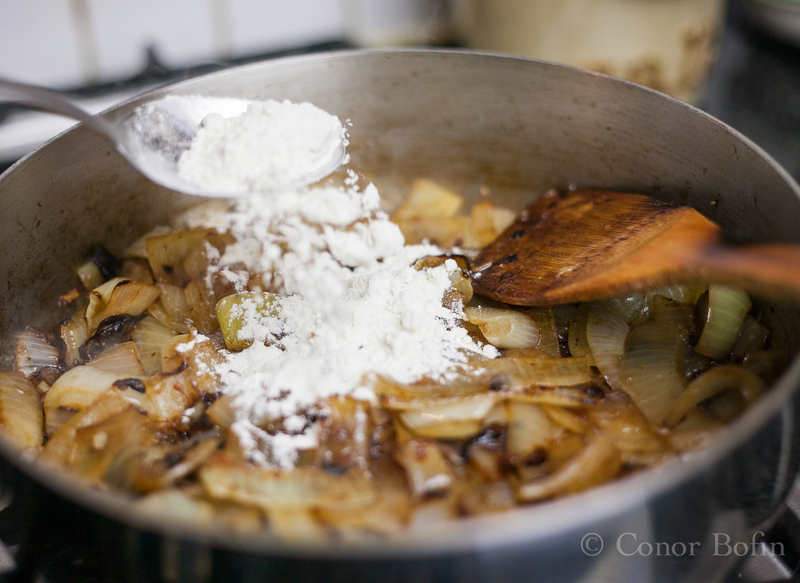 Cook the flour in the onions for a little bit. 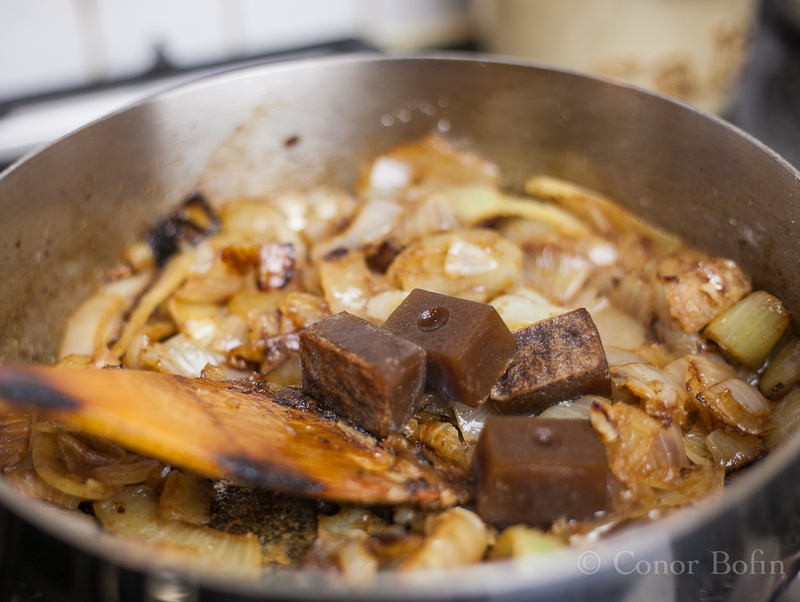 Add the stock or ‘beef bombs’ if yo have them and then the water if needed. Delighted to be using my beef bombs. They have awesome flavour. Add the wine, season and stir it all together and put on a lid and simmer until the Toad in the Hole is ready. Serve them together and try to put your bitter feelings aside. I’m sure it would have tasted fine without the aftertaste of defeat. 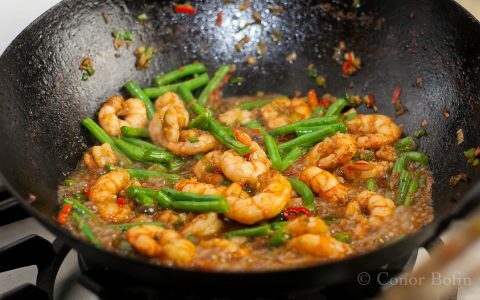 Easy oriental part 9 - Prawns with honey, chili and green beans even though you don't deserve it. Thank goodness for a wonderful English comforting dish to wipe away those tears!!!! Ireland still has time to come back. Will be waiting to see who does win and what you will be cooking. Thank you Maria for the words of comfort. Like I say, there’s always next year. Thing is, I seem to have been saying that for a while. We have two weeks to recover. Then onwards with the championship. On the plus side we face Italy next. At least the food options are a bit more appealing. 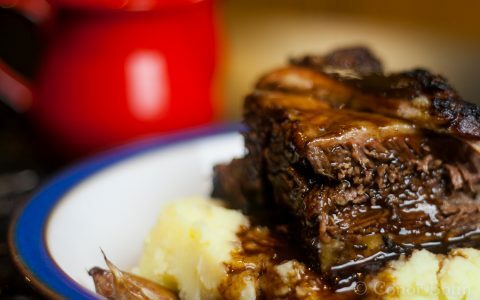 Delightfully comforting, especially with those plump Toulouse sausages 🙂 It could be worse, Scotland had a narrow escape from the wooden spoon – just! It’s a great championship. Brings out the best and the worst in us. 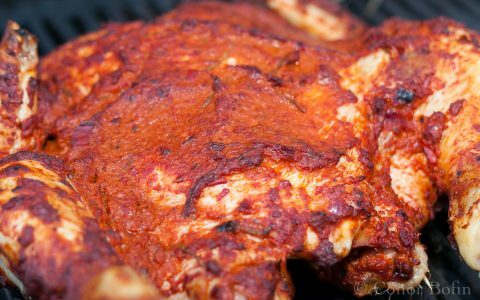 That looks a good TitH recipe – its one of my favourite meals, but I’m always looking for different recipes as I find even using the same one never goes well all the time. I’ll definitely try this out! Don’t say that Stefan. The country is watching! It was a good game. And its wide open for a change. Go Italy…no sorry it’s not that wide open. I love the championship. The only thing that gets me more excited these days is the Heineken Cup. As an English-born Australian with Welsh and Scottish blood who finds herself facing the difficult decision about which side to support, I might as well choose Ireland as the neutral ground! Toad in the Hole is suitably delicious comfort food in your time of tribulation, and your pouring shots are immaculate, as always. Thanks Kate. We could have done with your cheering yesterday. Very close. Very exciting. Thanks Phil for not rubbing it in and for the complement. 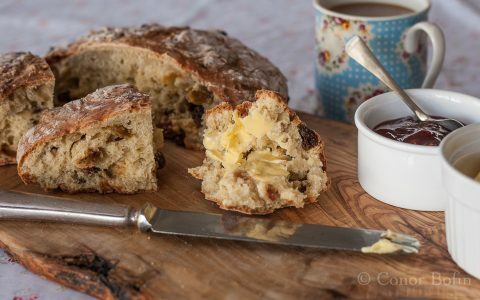 Ireland may have taken a battering this time (I’m only saying that to get a rise out of you) but you’re banger-on with the recipe. Oh Linda, too punny by half. Yes indeed. I have done that too often. I grew up in England but never ate this, although I’d certainly heard of it… Funnily enough, the possible connotations never struck me until you mentioned it. It must be my natural purity! 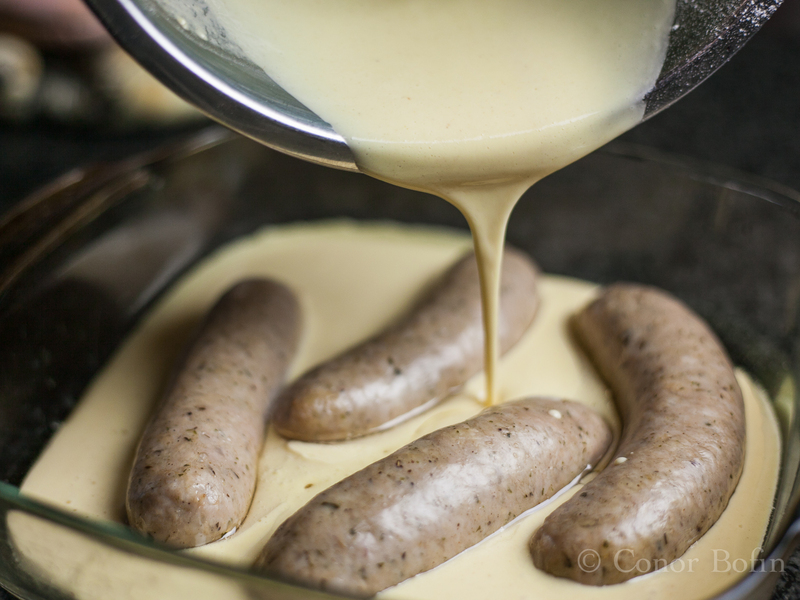 I’ve never heard about this recipe,Toad in the Hole, but for the hard Canadian winter (that is harder if you come from Italy) it would be perfect! 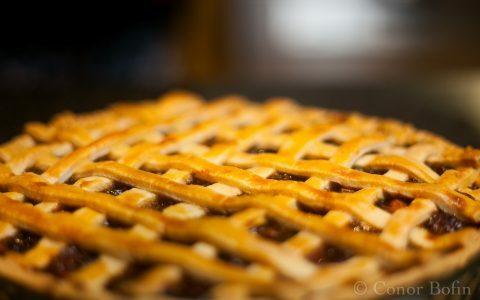 thanks for sharing it and especially for all the well explained passages of the recipe! Happy to help. It is a pretty good winter warmer. Though, there is a lot of fat in there between the sausages and the oil. Tasty all the same. And thanks to England, we can still win the championship too 😀 (and we will!). You won with this dish though eh, Conor? The England Wales game should be a cracker. As should France Ireland on the final weekend. All to play for. In truth, I find the Toad just a bit too lardy. The onion gravy helps cut it though. 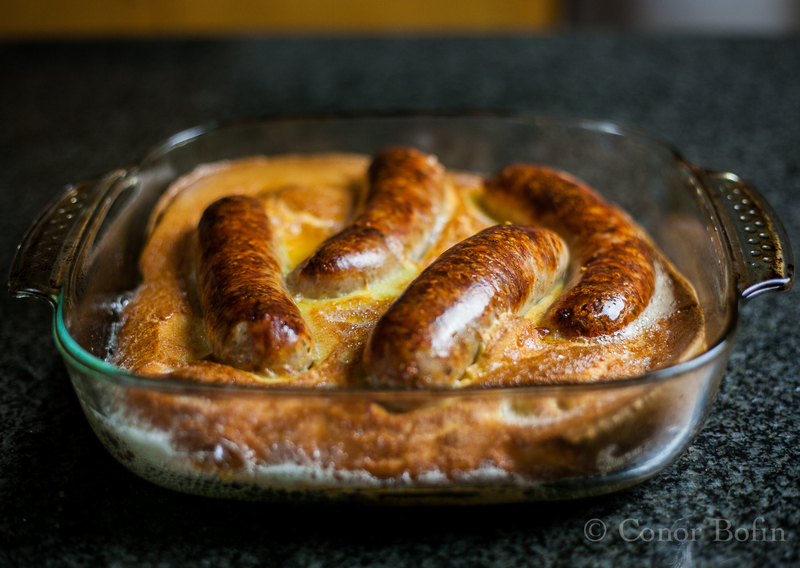 Sorry about the rugby, but I’m sure the Toad in the Hole was some consolation (as long as you ignored its provenance). Such a delicious dish. Sorry about your team losing but it sounds like it was an exciting game. I’ve heard of this dish but it is not one I have had. As a kid, my mom made me toad in a hole. But it is made with a piece of bread with a circle cut out of it with a glass. Butter added to a skillet and melted. Add the bread, an egg to the center and fry until the bread is browned on both sides. Yum! I think your toads look tasty too! Hmmm . . .’Toad in the Hole’ – a popular dish this suddenly: two delightful meetings with it in the one week . . . .but have to admit yours looks most appetizing 😉 !! I never knew what toad in the hole is, and it looks delightful! Especially with the onion gravy. Ooh, shrooms would be good, too. Are those your home made beef bombs? They are Mimi. 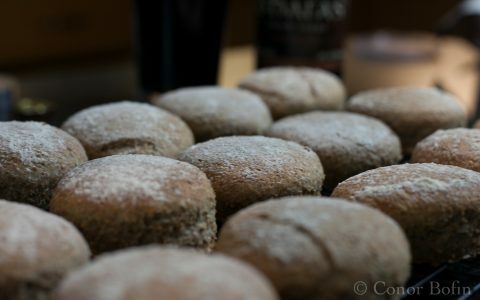 They are a fantastic resource to have in the freezer and well worth the trouble in making them. The match was as classic as the dish. How only 3 points had been scored at half time was incredible. Genuinely could have gone either way. I’m intrigued, however, with the use of Toulouse as the choice of sausage and jealous as hell that you have supply of them. I can never find any when I make another winter warmer classic – cassoulet. It’s worth having these winters when there are such great dishes to help you through them. Nice piece, Conor. Thanks Adam. It was a fantastic match. Described here in one of the papers as an ‘arm wrestle’. Pretty appropriate, I thought. My butcher does a range of different sausages. I got Toulouse purely for the word play on ‘to lose’, given the day that was in it. His black pepper sausages are nicer and less fat filled too. How sad is that? An arm wrestle is about right – no quarter given on either side. A real butcher making his own sausages is a rarity around my way. I’d happily pay a few bob extra to get something local and individual like that, but mainly it’s the same as the supermarkets fare only now you pay through the snout. Especially as I’ve added an extra game from somewhere. If we all play ourselves Scotland may win another one. 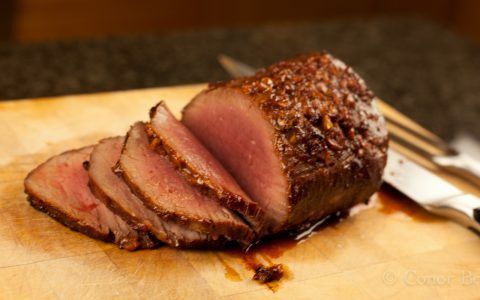 Looks like perfect comfort food. Decadent, fresh and well made. Too kind Amanda. A lot of comfort was needed. 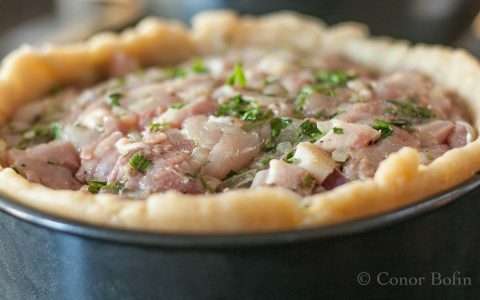 All bitter feelings aside, this unusual dish (unusual from my American perspective) seems like an excellent ways to remove any bad tastes of defeat from your mouth. I’m quite curious about the doughy portion, but from what I’m gathering from these photos I think I would rather like this dish a lot. Thanks Tommy. Tasty but lardy. Not an every day dish. Losing will only make your team more hungry next time — or something like that. I’ve never tasted toad in the hole, Conor, but it sure does look like comfort food to me. Bet it was tasty! Comfort food is about as good as can be said for it. A diet of this would see one into an early and very large coffin. Thanks for the kind comment. It’s great the way food can be tied to so many happy memories. 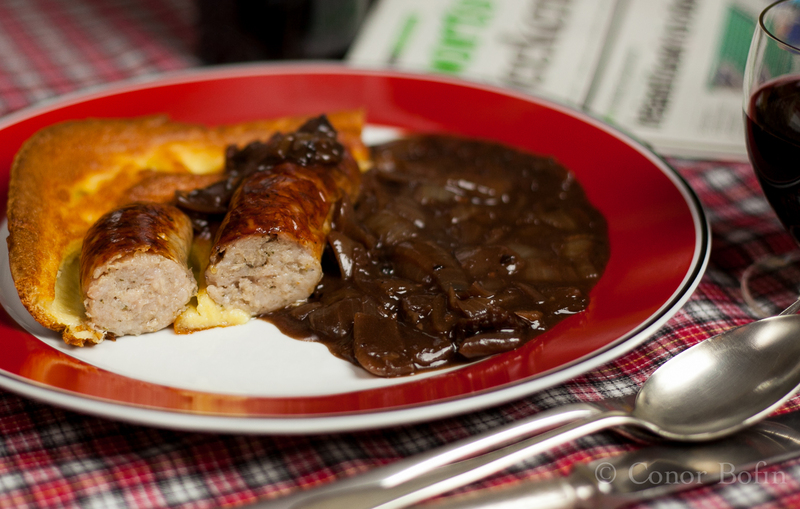 Lovely and elegant simple dish, ps, i used to add roux to the sauce or dissolved the flour first before added to thicken any sauce because it’s tend to be clotting…..
Love Toulouse sausages- especially big fat ones:) And good use of the demi-glace… how about a link to those bad boys. AND I very much like your spice header. Thanks Wendy. The spices in the header are part of the lamb shank post, yet to be written up. I was pleased with the image and decided to try it up there for a while at least. We had this tonight. Outstanding!